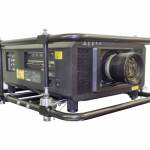 The PT-RZ21K Series is the world’s first 20,000 lumen laser projector to feature a filter less cooling system and shielded optical unit, delivering unprecedented reliability in dusty conditions. The lightweight design of the PT-RZ21K laser projector still delivers excellent colour reproduction with dramatically reduced running costs, making it the preferred choice for event professionals. The set up of the projector is effortless and efficient, ensuring that the event runs smoothly. Being the smallest laser projector is an added bonus to the product however this does not stop it from reproducing a high contrast image quality. The projector also boasts the use of 3-Chip DLP™ SOLID SHINE technology, allowing it to capture a more accurate color space than comparable laser projectors. This works because the blue lasers ensure greater precision while an expanded color gamut improves white-balance accuracy. 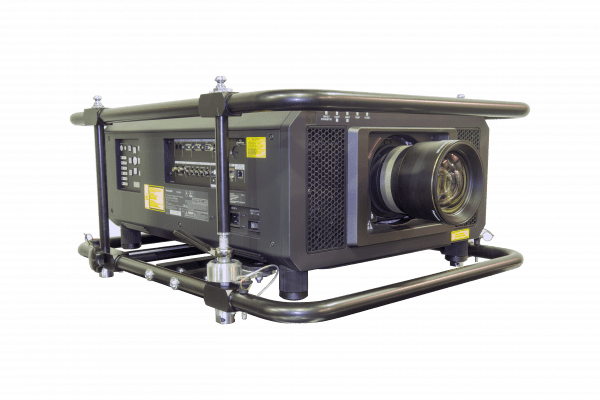 If your large-scale event requires showing moving image, this laser projector is the best solution as the interpolated frames enhance focus and a more fluid movement due it’s ability to playback at 120 frames per second. London Audio Visual have been supplying the most up to date and innovative projector technology since 2008, we take immense pride in being up to date with cutting edge technology. Our team will always provide you with the best and relevant advice for your event. We offer a full delivery, set up and collection service, all of this is possible due to our Central London office and warehouse location. Please contact one of our team to discuss using a laser projector for your event.